Experience the thrill of flying with one of our discovery packages in Toronto, ON. Would you like to view the majestic beauty of the Toronto, Ontario area aerially? Would you like to discover the freedom of flight while simultaneously managing some of the basic controls in an aircraft? If so, we encourage you to purchase one of our discovery packages at Genesis Flight College. With our discovery packages, you will take control of the aircraft shortly after departure. 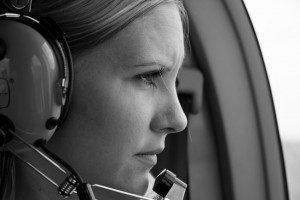 Your qualified instructor will help you learn how to control the aircraft and open up your eyes to the thrill of flying. HD Discovery Flight—This comprehensive package includes one hour of detailed training, which includes ground briefing and a classroom session that introduces various flight systems and covers course expectations. With this package, you also receive 40 minutes of flying time in a Diamond aircraft equipped with a glass cockpit. HD video of entire flight included. 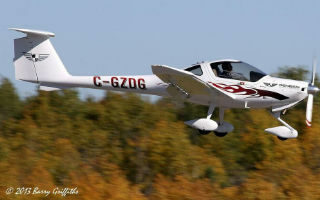 Diamond Quick Start—This package includes 30 minutes of condensed training and 20 minutes of flying time in a glass cockpit Diamond aircraft. Student Starter Package—This package is perfect for beginning flight students and includes two DA20 training flights, ground briefings, ground school enrollment, and access to various flight training materials. At Genesis Flight College, we would be more than happy to give you more details about any of the discovery packages we have to offer. Please contact us today for more information. At Genesis Flight College, our discovery packages are available to residents of Toronto, Barrie, Collingwood, Aurora, Brampton, Caledon, Markham, Newmarket, Richmond Hill, and Vaughn, Ontario. Our One Hour Discovery Flight is best suited for the enthusiast serious about starting flight training and includes a full 40-50 minutes of air time in a new Diamond DA40 aircraft with glass cockpit. The package includes a classroom session covering some introductory theory, intended to provide a sense of the learning required to complete a licence. Before the flight begins, your instructor will provide a comprehensive walk-around of the aircraft, identifying flight control surfaces and safety features. A Diamond Quick Start is perfect for someone new to flying who wants to experience the sensation of flight at the controls of a glass cockpit aircraft. This package gets you into the air quickly and includes only a short passenger safety briefing before takeoff (no classroom time). Air time included with a Diamond Quick Start is approximately 25 minutes. This package includes EVERYTHING you need to get started on your training. We have included all your in-flight and ground supplies, enrolled you in our online ground school course, provided supplemental reference materials and even your personal log book. Also included are the first two training flights and all the associated ground briefings. With this package you will cover lessons 1 to 6 of the Transport Canada flight training syllabus and have everything you need to keep going.